Yoga is so much more than the practice of yoga postures. Dive deeper into Yoga with this monthly multimedia lecture and discussion series. All levels of practitioner are welcome, including yoga teachers who want to expand their knowledge. Bring your lunch, your tea cup (a selection of teas will be available to enjoy), a notebook and a pen (if you like to take notes), as well as your curiosity. March 16, 2019: Strong as an Elephant: Yogic Powers. Listen to stories about yogic powers. Consider whether powers are a help or a hindrance on your yogic path. 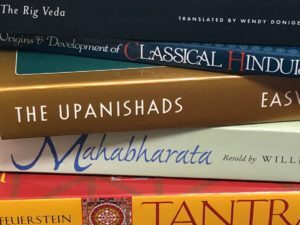 April 20, 2019: What is the goal of yoga? Explore the concepts of enlightenment, bliss and liberation. May 18, 2019: The Yoga Epics, Part 1. Bhagavad Gita’s backstory: listen to stories from the epic Mahabharata along with stories about Krishna. No sessions in June, July and August. September 21, 2019: The Yoga Epics, Part 2. Get an overview of the Ramayana and listen to stories about Hanuman, Rama and Sita’s devoted monkey helper. YOGA TEACHER TRAINING: Erin is on the faculty of Mudra Yoga Studio’s teacher training program, offering training in yoga history and philosophy. The next training starts on May 2019. Yoga Alliance Registered 200-Hour Teacher Training- Shakti Revealed: Experience, Embody, Expand with Tracey Lanham and Heather Lindemann at Mudra Yoga Studio Pearl Street. This four month, intensive study will link the ancient traditions and history of yoga with the wisdom and grace of energetics. Mudra Yoga Studio’s Shakti Revealed will be a unique, one-of-a-kind yoga teacher training geared for yoga practitioners looking to deepen their practice. You are welcome to take the teacher training track (which will certify you to teach yoga) or the immersion track (which will deepen your study and practice). This training will be accessible for any level of yogi or yogini and the teacher training track is Yoga Alliance Certified. Erin is recognized as a Yoga Alliance Continuing Education Provider (YACEP). 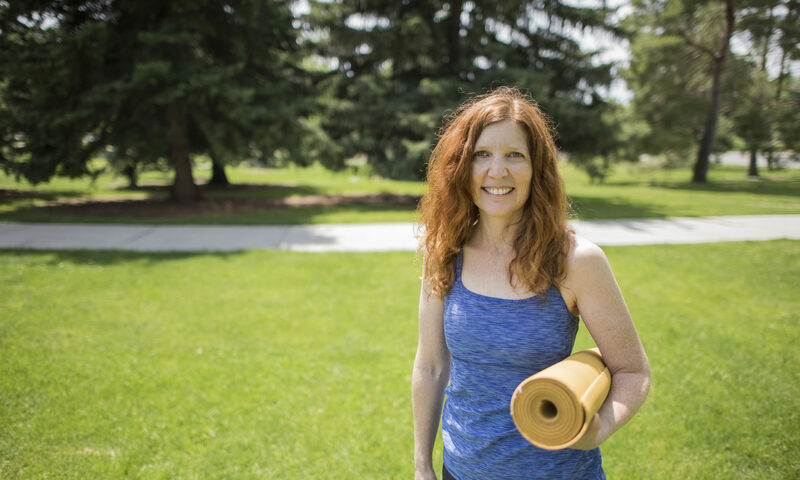 She is currently developing a 20-hour TEACHING YOGA TO OLDER ADULTS training. More information is coming soon.